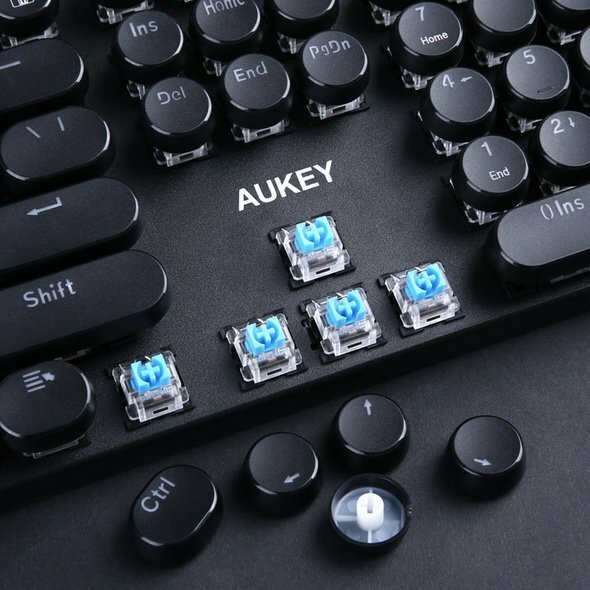 The Aukey KM-G10 Keyboard has two unique features going for it; 1) it is a mechanical keyboard and 2) it has the retro styled round keycaps like an old typewriter. 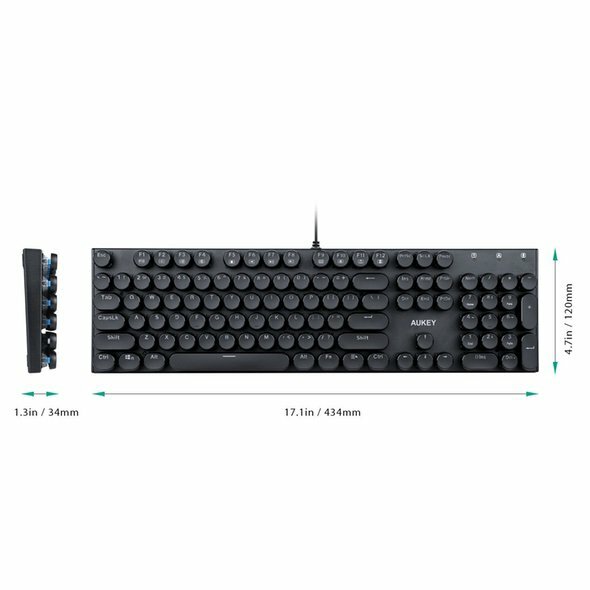 By the way, this $44 keyboard has a one-day coupon code which brings it down to $29.91. Coupon code and more details after the break. 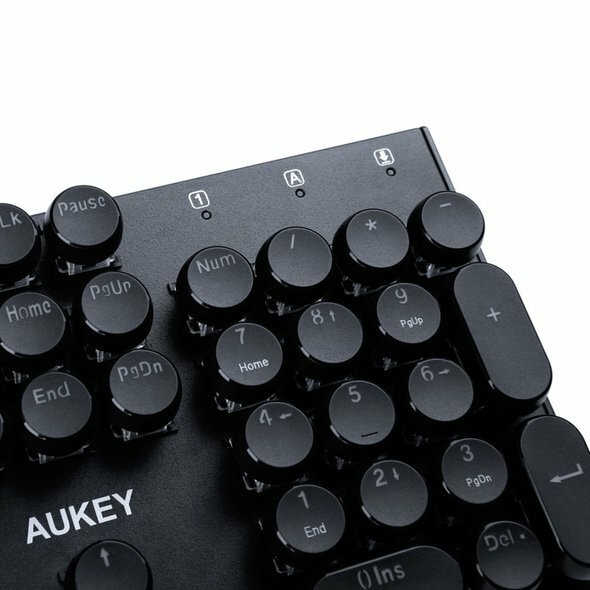 The Aukey KM-G10 is frameless, has a metal case, Outemu Blue switches, audible clicks, and a waterproof design. The coupon code for today is GWSGXK6D and works here at checkout. 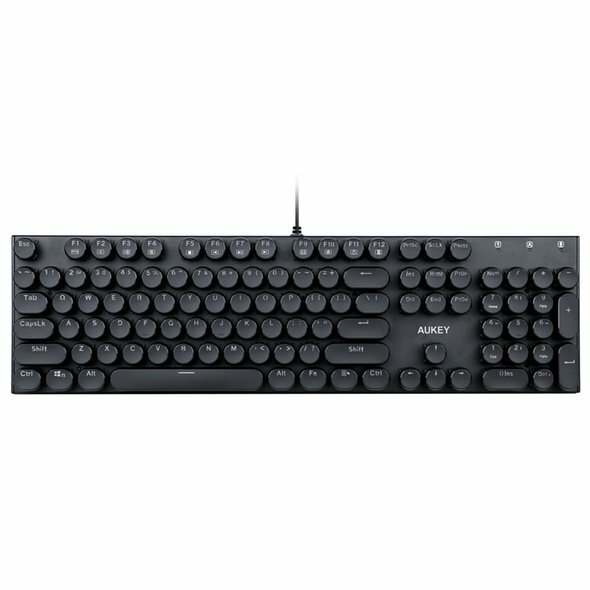 The KM-G10 is perfect for those who love old-school typewriters and clean, simple modern design. 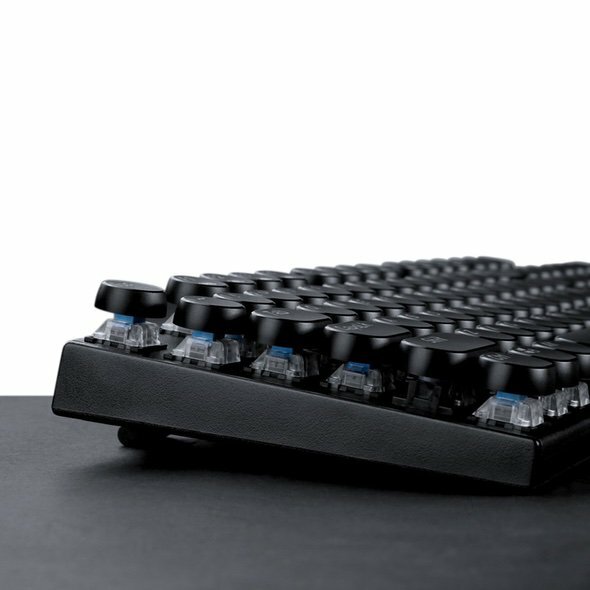 First-time mechanical keyboard users will find it an easy switch but refreshing change of pace. 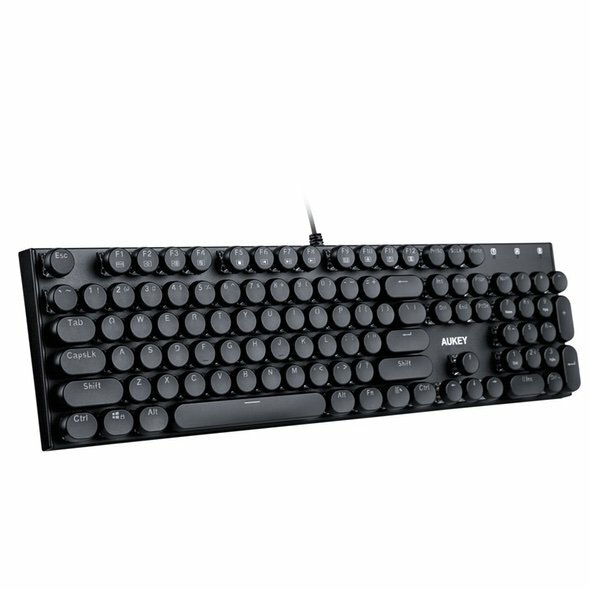 Its frameless, metal material case and the round, retro keycaps with slight indentation provide a comfortable and satisfying typing experience.